The step that shouldn't be missed.. When setting up your nimbl account we suggest the first step you follow is topping up. Whilst you are waiting for your child’s nimbl card to speedily arrive via 1st class post, you can ensure that your parent account is topped up ready to transfer money onto the nimbl card, which can only be activated using the last 4 digits on the card. Setting up and topping up your parent account is simple… and you can top up from both the nimbl app and website, so wherever you are, you can rest assured knowing your children can have funds in seconds. After clicking on ‘Set up your Parent Account’, you will be taken to the next screen where you can choose the amount you wish to top up and the different payment options available. You can choose the amount you wish to top up, by clicking on one of the pre-defined amounts, or choose to enter your own amount. 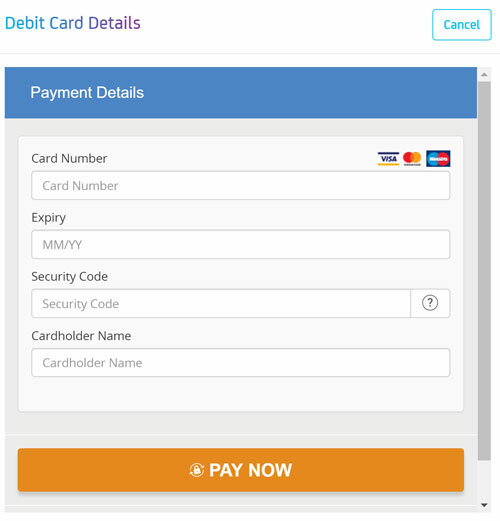 Payment can be made using a range of debit cards, from Mastercard, Visa, Maestro and Solo. The only thing we ask is that for security reasons your card must be registered at the same address as your nimbl account. As we try and keep things as safe as possible for our customers! Next time you want to just make a top up to your parent account, after logging in to nimbl.com, you will see a ‘top up’ button on your parent dashboard, then follow step No. 2 onwards to successfully top up your parent account! Stay tuned for next weeks blog on how to activate your nimbl cards when they arrive! – (It’s so simple, you might be able to do it all by yourself).